I recently wrote about how Mr. BF has been taking it up a notch, sartorially speaking. But before he decided to be dapper, he lived in plaid, flannel shirts. So I was originally kidding when, over Thanksgiving weekend, at the Ocean County Mall in New Jersey, I pointed to a sign that read "Flannel Shirts $15". Until I tried one on. 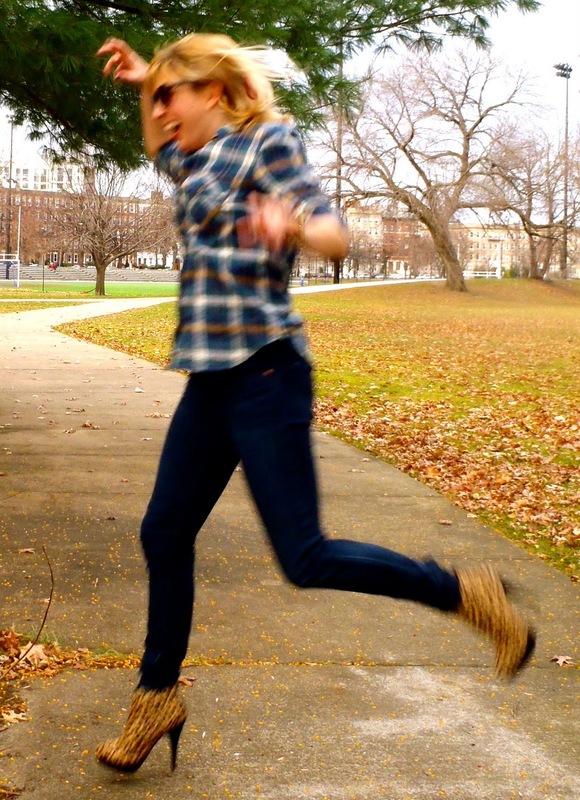 Love this outffit :) This flannel shirt look great with these dark blue jeans and boots. Love the boots! I am a flannel fan - and you should be too, 'cause you look amazing! So good to see you last night at the Zoora event! Haven't taken that flannel plunge yet. PJ's yes, shirts no. But like yours! Lumberjacks don't wear leopard! I am all about flannel shirts right now. Can't believe that was only $15! 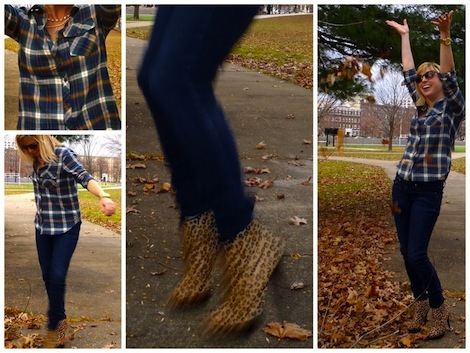 I love the boots- the mix of animal prints with flannel is the perfect touch to keep it girly!! LOVE your boots too! I was admiring them last night. you looked adorable yesterday! i didn't even notice the leopard shoes! Well played. I loved the flannel with leopard last night. How was it received at the town meeting?! Sassy! Love the mix of patterns. I wore something similar last week. You look amazing, have you been working out?! I don't know if I can do flannel, it reminds me too much of my teenage angst years and I don't want to be angsty anymore. The one flannel shirt I have is bright blue with a hint of silver sparkle (random, right?). I love the fact that you paired plaid and animal print together. It's all so unexpected yet it works so well. You go girl!